Prior to your first appointment the osteopath may wish to speak to you briefly to discuss your case. Wednesday evening and Saturday appointments are available at an associated clinic in Caterham on request. At your initial appointment, please go to the Reception and let the Receptionist know you are there to see the Osteopath. you will be collected from the waiting area at your pointed time. During the session we will collate a detailed case history about your present complaint, medical history and general health/lifestyle. Using this and the information from an examination of your body we will explain why the symptoms have presented themselves and discuss with you a treatment plan and expected outcome. Treatment will commence at this session with your consent. Many private health insurance policies provide cover for osteopathic treatment. 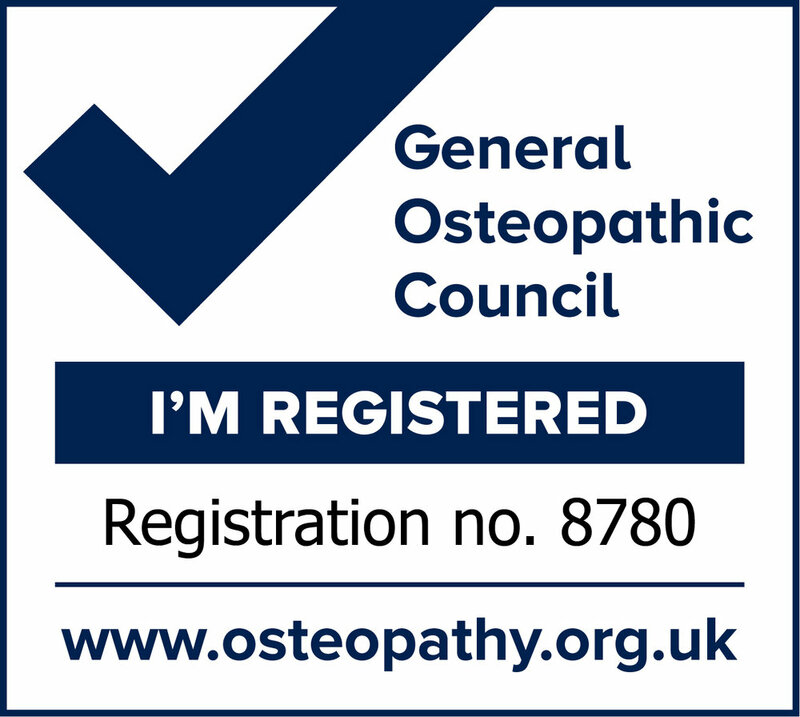 It may be possible to claim for a course of treatment but you should check in advance with your insurance company before seeking osteopathic treatment, in order to confirm the available level of cover and whether you will need to have a referral from your GP or a specialist. Please give us 24 hours notice where possible if you need to cancel to leave a free spot to other patients who need it.